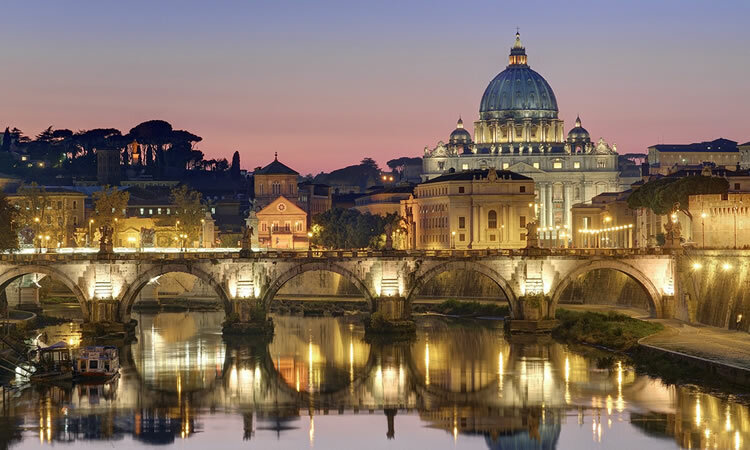 The Chair of Saint Peter is an actual chair in St. Peter’s Basilica. It is said to be the chair St. Peter sat on when he was Bishop of Rome, which was repaired and ornamented over time. Currently, it is enclosed in gilt bronze and forms part of the altar made by Gian Lorenzo Bernini. The renaming of people is something God did in the Old Testament. He renamed Abram to Abraham, Sarai to Sarah, Jacob to Israel – people who had a role to fulfill in God’s plan of salvation. In the New Testament, there is only one person who was renamed – Simon renamed Peter, which means rock. In fact, it seems that Simon was renamed even much earlier when Jesus met him first, according to the Gospel of John. (John 1:42) We can immediately get two things from this. The first is Jesus acts in the person of God who renames people. The second is that Peter will play a large role in God’s salvific plan. In this role, Peter is given keys of the kingdom and an authority second only to Christ. When Matthew 16:13-19 is read side-by-side with Isaiah 22:15-22 Catholics see that Christ was pertaining to a ministerial position in the Davidic Kingdom – after all, Jesus is a king in the Davidic Kingdom; and Peter was given that position. The position of Peter is important to Catholics because it is a position of one who knows Christ so well through an unwavering Faith given by the Father. In the Catholic sense Faith is not just trust, but accepting to be true what God reveals: it is knowing God. So it is with this perfect knowledge of Christ that the person in this position can teach about Christ without error. This is the position that was given to Peter. The chair, therefore, is a symbol of this position because Kings sat on a throne, while ministers sat on a chair reserved for them. The “Chair of Peter” might make more sense if we changed the terminology to “Seat of Peter” or “Position of Peter.” Since it is a position, the position doesn’t die with the person who sits on it. How will a kingdom survive if positions dissolve? They don’t. In fact in the episode in Isaiah 22, the position is being transferred from one person to another. Likewise, when Saint Peter died, the position went to someone else – in this case, it was St. Linus. And then St. Anacletus, and then St. Clement I and so on and so forth until our current pope of today. We know this is what Peter himself understood because the first thing he did in the Book of Acts after Christ ascended, was to replace Judas. He understood that the position that Judas once occupied was vacant, and so populated it with Matthias. (Acts 1:15-26) Reading it prayerfully, one can see he was the authority figure of the apostles. (They didn’t argue against his teaching and authority.) 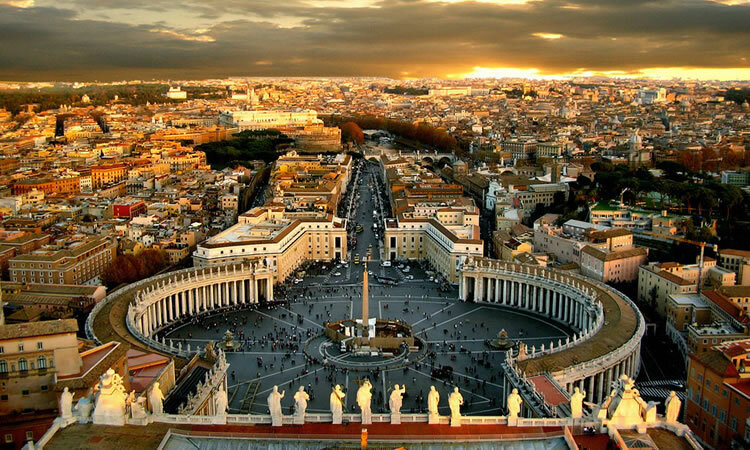 We get the word sit / seat from the Latin“sede / sedes", which is why the hierarchy of leadership in the Church is called the Sancta Sedes or Holy See. This position also allows the Church to be both human and divine the way Christ is human and divine. If he is the head of the Church, then the Church (which is his mystical body) has human members that make it human, and the Holy Spirit as its soul that makes it holy and divine. 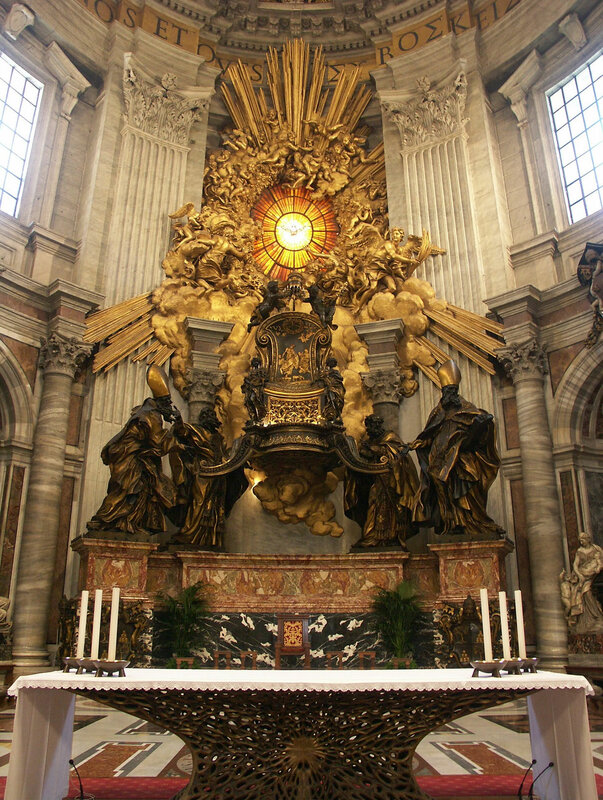 The Chair of Peter in St. Peter’s Basilica reminds us of this position. Catholics believe the “Chair of Peter” is still functioning today, and it is occupied by the current pope who continually feeds and tends the sheep of Christ as he commanded (John 21:15-17). Did you ever wonder how Mary is a Mystical Rose or the Tower of David?